Halfway through the Tokaido, Hisame's adventure continues with his childhood friend Itsuki. The plot thickens as Hisame discovers things about his father, and the mysterious demon blade Senju Murasame that used to belong to him. Yakumo, a newly introduced antagonist, desperately tries to get his hands on this sword, and will use all means to achieve his goal. 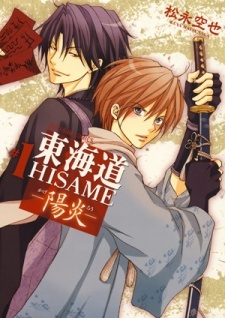 The only link to Hisame's past and clues to as why Yakumo wants the demon blade lies with Hisame's sensei, Hibiki. Can Hisame discover his past and put the pieces together?